An adventure into the heart of Nothing by bestselling author K. C. Cole. the far reaches of the universe for that one elusive state-nothingness. an undulating string, an additional dimension of space or time-even another universe. A fascinating and literary tour de force, The Hole in the Universe is a virtual romp into the unknown that you never knew wasn't there. I read Brian Greene's The Elegant Universe before The Hole in the Universe. No doubt, the scientific depth of Greene's near-masterpiece bolstered my negative reaction to Cole's rather light-weight book. A serious science reader should avoid "Hole": it is superficial, contains a bizarre digression, and is too clever for its own good. One could argue that Hole's relatively short length is a benefit. Undoubtedly, some short science books are very good. (Short works by Martin Rees, John Barrow, and Paul Davies demonstrate this point.) Hole's short length, however, is not evidence of the author having synthesized mind-bending and mathematically challenging material into clear, tight prose. Hole is so short because it's so superficial. In fact, I would argue that the book is too long. The bizarre digression I mentioned above occurs at the end of the book where Cole discusses how the human brain perceives (or misperceives) the world. The connection to her main subject -- "nothing" -- is tenuous, at best. The only plausible explanation I can come up with for Cole's wierd digression is that it allowed her to briefly discuss two books she likes (one of which -- Phantoms in the Brain -- I have read and was shocked to find mentioned in Hole). Finally, I was extremely annoyed by the clever word play and frequent interruptions in Hole. The word play got old very quickly. Nothing, something, and anything -- yes, these words can create cute sentences when the subject is nothing, but not past the first chapter. Thankfully, the word play decreased after the third or fourth chapter, but my irritation with the author never left me. As for the interruptions, I dislike headers and quotes every 2.5 pages of a book. It gave Hole the feel of a very long Newsweek article. If I could, I would put a sticker on the jacket advertising Hole as a MTV Book Club selection, "catering to short attention spans." Hole isn't useless, but I didn't find it particularly enlightening. Several contemporary physicists have written popular science books that cover the topic of nothing more deeply and more satisfyingly. A lot of books try to be about something, but turn out to be about nothing. This book says it's about nothing, which reveals everything. Well, at least something. This book starts from zero and goes nowhere fast. But the concept of zero is very important, as well as very funny for some reason. Or maybe none at all. Nothing itself turns out to be something. For example, sometimes nothing is equilibrium, which is the sum of opposing somethings. Then again, sometimes there's nothing until you look at it. Only then it is something. Or something like that. You would think nothing and emptiness have nothing in common, but it turns out they do have something, and maybe everything. K.C. Cole is a columnist and teacher, and uses those skills to create a book you can read a little or a lot at a time. Wit and a good ear also help move things along. This book goes from zero to the speed of space. It's a fast laugh track around physics, quantum mechanics, string theory--life, the universe and...nothing. Yes, it's everything you ever wanted to know about nothing but were afraid to ask. Lovers of games, paradox and cosmic concepts with everyday implications should find this a relatively painless way to understand why humans makes so much ado about nothing. I can see Einstein and Groucho Marx reading passages to each other and laughing hysterically, while Buddha smiles and nods. To most people physics has been sounding crazier all the time, with its quarks of color and raspberry flavored gluons, as if maybe making the Bomb unhinged them all, so it's worth listening to what a knowledgeable and articulate non-scientist makes of it. Sometimes the metaphors don't quite work, and sometimes such a big universe in such a small space means it simplifies maybe a bit too much. But what we may lose in sophistication we make up in a refreshing respite from scientific self-importance. Besides, it's not easy to express complexities simply--I suspect some of these painless paragraphs cost blood, sweat and tears to write. So if you have zero interest in boring explanations, you'll find this book quite something. Prepare your mind for quite a ride-if you don't get dizzy, you missed something-or maybe nothing. And if you've suspected that science and the absurd are like two parallel lines about to intersect, this book may confirm it. Which is not to say that science is wrong, although it's clear that even now with everything we've learned, we know next to nothing for certain about anything. At one point Cole asks us to imagine the universe as the scum on the surface of a pond. Sounds reasonable to me--pond scum explains a lot. After reading Cole I'm confirmed in my belief that this is the most ridiculous universe I've ever heard. This book will blow your mind. It is elegant, deep, crystal clear. 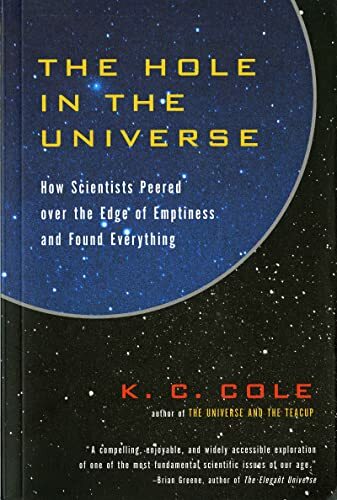 A tour of nothingness that will turn you inside out: whether Cole is writing about the number zero, the perceptual aspects of seeing and feeling "nothing," the physics of the vacuum or the origin of time, you will feel right at home in this universe. I expected nothing, and got nothing. Isn't that something? If you have meditated for many years and fringed on dharmakaya this book is a delightful dance with that from which everything comes. Ken Wilber too confusing, or too long? K. C. Cole waterskis some of the same territory, and , frankly, I'm not sure why he isn't a reference. This is a book a Buddhist could love. But zen that isn't saying much. Would have liked even more diagrams, and more pictures. Despite its grandiose title, Cole's concise volume focuses less on "everything" (or a theory thereof) and more on historical and contemporary concepts of "nothing" and of "zero." In the first paragraph of her introduction, the author admits the difficulty of writing such a book and claims she avoids the temptations of "following [nothing] wherever it leads, getting lost in the semantic thicket of nothing puns, or simply bouncing the idea around on one's knee, string together curious facts and ancient history." In fact, this perplexing book succumbs to all three faults. After an introductory, overlong, and (yes) pun-packed overview, Cole gets to the meat of the book. A history of zero and nothingness from the Greeks to the nineteenth century precedes a chapter on mathematical concepts, three chapters on physics (fields, quantum theory, spacetime, black holes, string theory), and two chapters on cosmology (big bang, inflation, the cosmological constant, repulsive force). The penultimate chapter, on how visual perception and psychological factors influence the concepts of nothingness, seems noticeably out of place. Yet this outline of the book is deceptive, since the vaguely structured chapters seldom confine themselves to the topics at hand. A lack of transitions, a fondness for rhetorical questions, and an excess of tangents further confuse Cole's rambling banter. A symptom of the book's lack of organization is the unjustifiable frequency with which the author interjects that there will be "more on this topic later." And then there are the puns. In spite of the author's preemptive reassurance to the contrary, there are so many quips along the lines of the one I've used to title this review that it's occasionally difficult to know how seriously a statement or observation is meant. Cole is quite capable of hitting her targets: there are a number of mind-expanding images, genuine bursts of witticism, and sharply described concepts, but, just as often, the discussion falters in linguistic limbo. Granted, Cole has an unenviable task, since even scientists haven't yet developed the language to discuss many of the concepts she describes, but her prose isn't aided by the preference for clever wordplay and winking asides over straightforward exposition and unambiguous definitions. As the twentieth century closed, Fred Adams and Greg Laughlin captured the attention of the world by identifying the five ages of time. 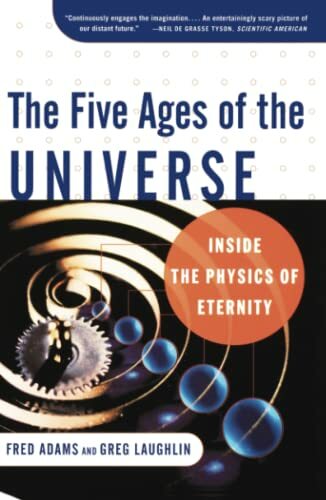 In The Five Ages of the Universe, Adams and Laughlin demonstrate that we can now understand the complete life story of the cosmos from beginning to end. Adams and Laughlin have been hailed as the creators of the definitive long-term projection of the evolution of the universe. Their achievement is awesome in its scale and profound in its scientific breadth. But The Five Ages of the Universe is more than a handbook of the physical processes that guided our past and will shape our future; it is a truly epic story. Four and the 1/2 Stars about The Five Ages of the Universe. I love and collect books about cosmology since many years. This one was a great reading. Not only about the beginning and current state, but also about the fate of the Universe in the future. Time will show how these computer simulated predictions are accurate. But it will not be you or me of course to observe it. Book as for today is a bit outdated, does not take under consideration new discoveries like dark energy and acceleration of the Universe. I have asked Professor Adams about it and he e-mailed: "the biggest change to our vision of the future comes in the Dark Era; positronium formation will be less likely, and a vacuum phase transition will be more likely if the Universe has a component of this dark energy. The basic picture however is still correct". What I really like about this book is that it gets even more interesting in the end. Explanation of quantum mechanical tunneling and possibilities of sudden cosmic scale phase transition is so vivid that I had a hard time to fall a sleep. My imagination was running wild ignited by description of space-time foam and multiverses. Summarizing: it was easy, quick and enjoyable learning about not so easy subjects. "References and further reading" list included in this book is worth to have a look as well. Professor Adams is currently working on his new book. "Five Ages" provides a very comprehensible summary of the extraordinary events from the birth of our universe to its ultimate "end". In the introduction the authors provide an overview of each of the five ages, and also introduce benchmarks and standards for coping with the incredibly large numbers required for such a discourse. With each successive chapter an in-depth, insightful and clearly understandable discussion of each age includes the relevant subatomic/particle physics and their formed macrostructures. Of equal intrigue, and perhaps what sets this book apart from many others, are the theoretical constructs for present and future life forms, and potential sources of energy for future civilizations. While the authors presume the universe to be open (and flat) they do not deprive the reader of a fantastic, fast paced scenario describing a "big crunch". The emphasis, however, is to describe the later ages as somewhat stagnant and dull. When even matter, as we are familiar, ceases to exist (proton decay becoming complete by 10e38 cosmological decades) except for the matter "protected from time" by the strong gravitational fields of black holes. Ultimately this book includes information including particle physics, nuclear physics, relativistic theory, astronomy, biology, thermodynamics & energetics and provides the reader with a comprehensive evaluation of each of the "Five Ages." It's a gloomy future but great to read about. This book will make you think. It will make you think about the purpose of life if the universe will eventually decay into a bleak black empty desolate emptiness. The authors extrapolate the potential future of the universe and it is a dark one. One of the more interesting aspects is learning how life as we know it- animals & plants living on planets - will cease to exist fairly early in the lifetime of the universe. But at the same time the book paints a picture about possible future life forms inhabiting the universe many, many years in the future. The book however, is not mainly about life but about the decay of the universe as it ages billions, trillions, quadrillions of years. It specifically details how stars will die, protons will decay and eventually after a googol (10 to the 100th power) number of years, how black holes decay. It is impossible to fully grasp the size and enormity of these numbers but the authors make a good attempt. Suprisingly, the book is a somewhat light read, which is a good thing. It won't bog you down with equations and abstruse theories. I read the entire book on a flight from NYC to SF and was immersed throughout trying to imagine the universe as it will be. I thought this book was very fascinating! I enjoyed reading not only about theories regarding the past and present eras of the universe, but also about future eras. As the title implies, authors Fred Adams and Greg Laughlin divide the lifetime of the universe into five eras, and we're living in the second. It was fun to imagine what the night sky should look like trillions of years into the future, and many more. It was also fun to read about the time when it can be expected that only black holes will be left, and to go even beyond that. This is the only book I know that deals much with the question of the far future of the universe. The authors also brings up questions which are probably beyond our ability to know the answer to(for example, whether our universe is one of many), but such an idea is interesting to think about. They do mention a few ideas that I'm skeptical of (for example, the idea of a "Darwinian view of universes"), though they also acknowledge that this remains speculative. Although this is a scientific (not a theological) book, I will also mention that I am a believing Catholic. So I believe that God created all things, including the whole universe. However, I also believe that the scientific theories mentioned in this book are compatible with Catholic Church teaching, provided we understand that everything that happens is in the providence of God. Of course we should also understand that theories are not doctrines, and so theories could be subject to change upon future discoveries. Earth to cultists: Hoyle's steady-state theory was discredited forty years ago. Give it up already. "Seemingly plausible ideas can have subtle flaws, and it takes a collective effort of problem solving to find them out." I wonder that what is going on with mainstream Science nowadays is even worse than I thought. It look likes they assume that standart models can NOT possible be wrong and that any other models MUST fail in order to keep the standart one. Plausible ideas are the BEST ideas in Science. Of course it still can have flaws, but as they pointed out, the flaws are often subtle. But in the illogical and nonsensical big-bang model, the flaws are OBVIOUS. Also, if you read this book or "Seeing Red" by Alton Harp or "Dark Matter, missing planets and new comets" by Tom V. Flandern, you will find out (in spite of what the Scientific American are trying to tell you) that in fact the standart model IS durty. I strongly recommend this book because I have found a logical truth and I'd like you find it by yourself as well: The Universe is infinity in space and time and the so-called Big-Bang actually NEVER happened. A rare and well balanced scientific discussion of the relative merits of the new Quasi Steady State versus Big Bang concept of the Universe. This book gives the reader a feel for the basis of our understanding of the Universe. A feeling for the vast uncertainties concerning our interpretation of distant objects, such as Quasars. Please note: This book is for serious students of cosmology. The authors presume the reader has an understanding of general relativity. Compelling! the cosmology paradigm debates ended too soon! Sir Fred Hoyle and fellow authors, Geoffrey Burbidge and Jayant Narlikar show why the paradigm debates in modern cosmology ended too soon! 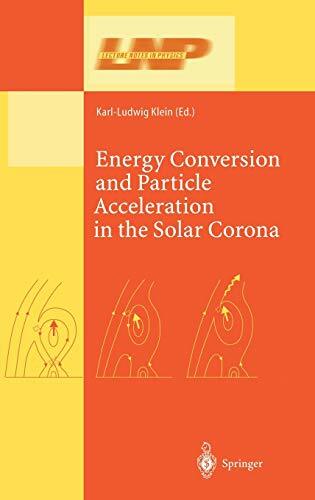 Their sweeping analysis includes the early static universe concepts, the Einstein, de Sitter, and Friedmann-Lemaitre relativistic models, the controversy of the classic Steady-State vs. the Big Bang, and the contemporary Big Bang paradigm. As participants, they discuss the controversies over interpretation of the Hubble velocity-distance relation, light element origins, the radio sources and their fabled distributions, the quasars, the cosmic microwave background, and large-scale matter distribution. They summarize the accumulating evidences for intrinsic-peculiar redshifts, and ejection of compact X-ray and optical sources from active galactic nuclei. The Big Bang is found wanting both in theoretical assumption and observationally. Building on their Quasi-Steady-State cosmology, the authors propose that both observation and scale-invariant gravitational equations require us to consider an ongoing-episodic creation of matter within the universe. . . .
A brilliantly clear and penetrating exposition of developments in physical science and mathematics brought about by the advent of non-Euclidean geometries, including in-depth coverage of the foundations of geometry, the theory of time, Einstein’s theory of relativity and its consequences, other key topics. I picked this book up in search of some insights and a way to think about this thing that is "space and time". However I found it rather uninspiring. Firstly Reichenbach is too much of a positivist, trying to be too general about the relativity of geometry, and he is overly concerned about debating the view that Euclidean space is more natural. Related to this the flow of the book gets bogged down in the problem of visualisation. For example there is an extended analysis of a spherical geometry using a ridiculous geometric construction, which by the way is very hard to get through until you realise he has used the same definition for two different things. I wasn't pleased to go through that effort so as to know what being trapped between two spherical shells looks like in a spherical world! Although he does have a minor point to argue here. Anyway, though the first two chapters were largely a waste of time over trivialities and geometric fantasies, at least the arguments were constructed well and without large gaps, and I was looking forward to getting into the chapter on space-time combined. However the section 27 came with a footnote: "We shall present at this point only a summary, for a complete presentation we must refer to A". Arrggh!!! Not only does it now become unreadable without a knowledge of "A", I can't find what "A" is, so this book does not stand on its own. At this point I'm afraid I gave up, I cannot read this sort of stuff in "summary", but must follow an argument, so I cannot tell whether Reichy in the end had some interesting insights. Reichenbach writes with clarity, reason and passion on a topic that is in much need of this still today. It is accessible to the astute layperson - there is some occasional math, but the text handles most of the important concepts. 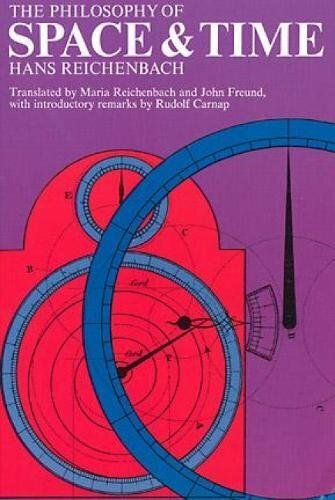 It is useful for anyone interested in the combined scientific and philosophical perspective of space and time. Reichenbach, in the Introduction, rues the current estrangement of philosophy and science, longing for the "natural philosophy" of the past, where thinkers were well-versed in both areas. So this book takes us through the philosophy of space and time accompanied and supported by empirical and theoretical scientific work. He seems to have little in the way of agenda or "-isms" to tout, nor is he inclined to spend much ink on rehashing historical debates or trivial examples. And although the book winds it way eventually to General Relativity, we are thankfully not dragged through the typical "Aristotlean view -> Galilean view -> Einsteinian view" that is so commonly used. Instead, he begins by discussing Euclidean space, the nature of geometry and so on. Throughout, the notion of topology is a common thread. Time, simultaneity, Lorentz, Principle of Equivalence, and gravitational effects on the topology of spacetime, are some of the steps through the book. In section 39, for example, he guides us on a detour entitled "The Analytic Treatment of Reimannian Spaces", just to carry "...the treatment of general geometry a little further." In four short pages and a modicum of equations, the nature of tensors as a natural mathematical consequence appear, effortlessly and painlessly. All along, woven in, are cogent philosophical treatments of the topic currently under discussion. The book is a good example of the author's desire to see philosophy and science melded again, and good example of his prowess in both areas. This book is a science book and as such most of the people who may have something to say would be people along that line. However, I wish to show the value of this book from a business perspective! The heading of "Time & Space" would certainly catch the atention of any Wall Street expert who is familiar with the teachings of the great legendary expert W.D. Gann who popularized the use of space and time in his market theories. Persons who have bought the four-book set written by Brad Cowan would find this book being of some help in understanding his work. Infact, this book has Chapter 29 listed as "Four Dimensional Representation Of The Space-Time Geometry" which has a bearing on Mr. Cowan book by the name of "Four Dimension Stock Market Structures & Cycles" I hope that others can see that there is a scientific connection the way the business world operates. This is an absolutely fabulous book about the foundations of special and general relativity. The author's deep understanding of and insight to these complex structures is beautifully displayed and explained using simple but nontrivial examples and very readable text. If you really want to understand relativity, you must read this book. The focus is not on formal mathematics but on the real, intuitive, content of the concepts and the mathematical theory. If you have been confused by discussions of rigid rods, clocks, simultaneity etc. in other sources, check out Reichenbach's construction of the light geometry and his discussion of the indefinite space type. Want to understand how gravity affects spacetime but do not want to study differential geometry? Read Reichenbach's sections on the Riemannian spaces and his chapter about space and time in gravitational fields. No other source explains these relationships as clearly and without resorting to silly or trivial examples. One order of quantum physics; hold the mysticism, please. This book is a great companion to Dancing Wu Li Masters. 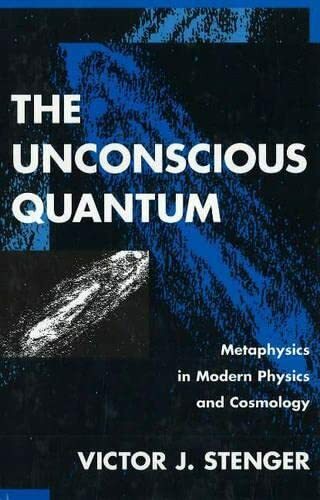 Where Dancing Wu Li Masters gives a good, somewhat mystical overview of quantum physics and the history of its development, The Unconscious Quantum shows that people who want to understand quantum physics need not resort to mysticism or Eastern philosophy. While Stenger does address mystical interpretations when summarizing the history of quantum physics, he concludes by offering a logical, consistent, non-mystical paradigm. Stenger acknowledges that the microworld of quanta cannot be viewed in the same way as the macroworld of concrete objects that make up our everyday experience. However, if people are willing to suspend their everyday intuition and accept some very logical but unintuitive concepts, like time symmetry and decoherence, then the quantum world makes perfect sense without mastering Zen or contemplating your navel. Stenger also shoots down the ideas of consciousness directly affecting the physical world, and faster-than-light communication between quantum particles. He explains the EPR "paradox" and other experiments which spawned these interpretations, and how they can easily be resolved using the simple but unintuitive concepts already mentioned. The text is written for the science amateur, and requires little background knowledge, but some persistence with technical concepts (you may have to read a few parts twice to get the idea). Supporting equations are included in boxes, separate from the text. The text stands alone, but mathaholics are welcome to indulge themselves in the formulae. The first six chapters are the most technical, but it gets much easier after that, and it's definitely worth it for anbody who wants a genuine understanding of quantum physics, sans the mystical rhetoric that pervades most pop literature on the subject. Does quantum theory imply mysticism? Contrary to some of the other reviews, I think this is a pretty good book. Let me point out that my own background is astrophysics (undergrad) and mathematics (grad). Stenger does a creditable job of laying out the major philosophical issues of quantum theory. He has included some sidebars for the more mathematically sophisticated. My own reading left me feeling that Stenger's aim is primarily to urge readers to approach any extrapolation from quantum facts to quantum ontologies with a great deal of skepticism. Many people have construed issues of measurement to mean that 'mind' collapses wave functions. Stenger points out that 'mind' is not easily defined, is likely an emergent property of base matter, and suggests we stop reverting to Cartesian dualism every time things get confused. He discusses De Broglie and Bohm's guiding field, and points out that regardless of its correctness, it provides a viable alternative ontology, so clearly the mystical approach is not a foregone conclusion. The book could be better. It would be nice if he spent a bit more time discussing some of the confusion regarding 'mind', but I think he has done a good job of laying out the basic issues for the well-educated lay person, and of urging skepticism before seizing upon strange phenomena as a justification for one's metaphysics. Stenger sets himself up against almost all of the major figures of 20th century quantum mechanics in denying the existence of nonlocality (action at a distance). Many experiments have demonstrated nonlocality, with one of the best performed by a French team headed by Alain Aspect of the Institut d' Optique Theorique et Appliquee. Stenger admits that the team "is probably right" and then goes on to present his own dubious theory that tries to salvage every assumption of classical physics except determinisim. Stenger holds the opinion that leading theorists such as Bohm, Schrodinger, Stapp, Josephson, De Beauregard and many others are all wrong. Why doesn't he include in his book comments on his views from some of these theorists who disagree with him? His motivation for attempting to remove nonlocality from QM is clear: "At least this would put an end to mystical speculations about quantum mechanics demanding a holistic universe" (page 197). When he writes on subjects other than physics, his arguments are crude, unsophisticated, and display his ignorance. For instance, "psychic phenomena have failed to be verified after 150 years of attempts involving thousands of independent experiments." (page 289). In the first place , the first sophisticated and systematic research only goes back to 1882 with the founding of the Society for Psychical Research, not 1845 (his book was written in 1995). Postive results have been consistently obtained, but they have always been discounted by critics if the protocol was not 100% perfect, thereby allowing the possibility of a 'normal' explanation - such as fraud. However, modern methods have become virtually foolproof, and combined with modern statistical techniques such as meta-analysis, they have obtained independently-replicated results with odds against chance of over ten thousand to one (see chapters 3-5 in The Conscious Universe by Dean Radin, additional sources listed there). The only evidence Stenger offers for his narrow opinion is one-sentence reference to a highly-controversial 1987 report written by two arch-skeptics, psychologists Ray Hyman and James Alcock. For a balanced discussion of the Hyman-Alcock report, see Radin's book, pages 215-218. If the new age goop in the bookstores needs to be balanced by Stenger's book, then Stenger's book needs to be balanced with far more sophisticated works like Radin's. For more balanced discussions of QM, see The Mystery of the Quantum World by Euan Squires, and The Quantum World by JC Polkinghorne. I enjoyed this book immensely. If you read The Dancing Wu Li Masters, then you must read this book as well. It will bring you back down (this is a good thing). Mr. Stenger writes very clearly and puts forth a good dialogue about what is and is not quantum physics. Before jumping on the New Age quantum, "science and Eatern mysticism are the same" bandwagon, be certain you are educated on the story from someone who lives it. Mr. Stenger lives quantum physics. While the language is different, the goal is the same -- Mr. Stenger is merely seeking truth. Truth does not conform to the way we wish, no matter how hard we try. This book is one way to make certain that we keep the truth we think we have in check. P.S. Leon Lederman's book The God Particle is worth checking out as well. Stenger is quite right that there is a lot of sloppy thought and unjustified claims in the popular New Age, New Paradigm movement. He is also correct to say that it is misguided to use quantum theory to justify or prove mysticism. (Not because quantum theory is incompatible with mysticism, as Stenger argues, but because science cannot and need not prove mysticism in the first place--that's what mystical contemplation is for.) Unfortunately, his criticisms are tainted by prejudice and his own sloppiness. For example, Stenger seems to lump all the fluffy New Age ideas together with the classical mystical teachings, and then indiscriminantly calls it all mysticism. For those people who really know what true mysticism is (and how to tell it apart from New Age fluff), Stenger's use of the word "mysticism" as a mere derogatory catch-all term only shows his prejudice and apparent ignorance of real mysticism. Unfortunately, this and other similar problems only serve to confuse and seriously detract from those parts of his argument that may be valid and worthy of consideration. Provides compelling evidence that creation myths from the dawn of civilization correspond to cutting edge astronomical discoveries. 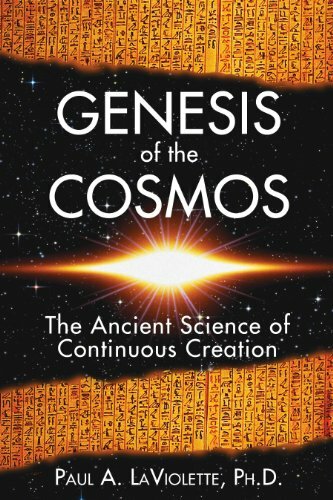  Exposes the contradictions in current cosmological theory and offers a scientific basis for the ancient myths and esoteric lore that encode a theory of continuous creation.  By the scientist who was the first to disprove the Big Bang theory on the basis of observational data. Recent developments in theoretical physics, including systems theory and chaos theory, are challenging long-held mechanistic views of the universe. Many thinkers have speculated that the remnants of an ancient science survive today in mythology and esoteric lore, but until now the scientific basis for this belief has remained cloaked in mystery. Paul LaViolette reveals the astonishing parallels between the cutting edge of scientific thought and creation myths from the dawn of civilization. With a scientific sophistication rare among mythologists, LaViolette deciphers the forgotten cosmology of ancient lore in a groundbreaking scientific tour de force. In direct, nontechnical language, he shows how these myths encode a theory of cosmology in which matter is continually growing from seeds of order that emerge spontaneously from the surrounding subquantum chaos. I bought this book expecting a real debate between the three views mentioned, namely, Young Earth Creation, Old Earth Creation, and Theistic Evolution. The reason I found it disappointing is for two main reasons. None of the contributors really talk about the evidences for their position, but instead ramble on about their philosophy of science. Van Till spends most of his time trying to convince people to call his perspective the "fully-gifted creation perspective" instead of theistic evolution. To me, it really was just playing with words in order to avoid the negative Christian response to evolution. Does Van Till believe in Darwinian evolution or not? He says he does, so why not Theistic evolution? His view, as he expresses it, is really Deism, although he protests that it isn't. Read what he says and decide for yourself. My other major complaint with the book was that instead of the proponent of each view responding to the other two views, the responses were made by a third party "panel". I found this to be extremely unsatisfying. The book wasn't totally without merit, and all three perspectives had some good things to say - but it got lost in a lot of wordiness about "words" which really took away from the book as a whole. 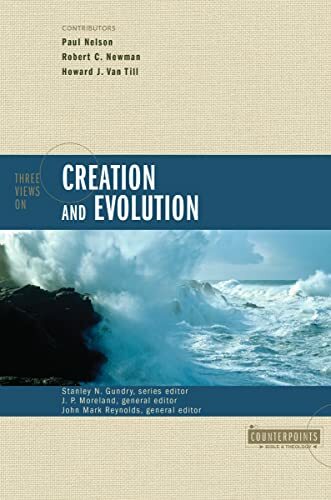 "Three Views on Creation and Evolution" provides an excellent and professional philosophical/theological discussion on Christian views relating to origins. Three major essays are presented, each by a different author or authors. Each essay provides a different perspective on how the Biblical account of origins relates to the mainstream scientific account (and, more generally, how Biblical interpretation and Christian theology relate to the scientific method). Each essay in turn is critiqued by four other scholars, to which the essay's author(s) are given opportunity to respond. Finally, two other scholars' essays conclude the book. Young-earth creationism (YEC) is presented by Paul Nelson and John Mark Reynolds. YEC is the classic literalistic approach to Genesis, in which adherence to the plain meaning of the Genesis text is the epistemological imperative, no matter what the divergence with mainstream science (and the divergence is radical). Thus it is strange that so little time is spent on Biblical interpretation in this essay. Science, too, is largely ignored (except for some surprisingly glib concessions that you might think would be quite damaging to YEC, such as "Natural science at the moment seems to overwhelmingly point to an old cosmos", p. 49). Instead, the presentation is largely philosophical - a tack I personally found quite interesting, but unconvincing (offering "recent creationism is intellectually interesting", p. 50, as a major reason in support of YEC just doesn't cut it). This general approach - heavy on the philosophy and theology, while light on science and Biblical interpretation - is repeated throughout the book. Old-earth, or progressive, creationism (OEC) is a view which generally accepts the conclusions of the mainstream physical sciences on the age and development of the cosmos and the Earth (while stipulating that certain causative factors in this development may have been miraculous). But OEC generally rejects large-scale biological evolution and abiogenesis, and insists on numerous miraculous creation events instead. Robert Newman propounds this view in his essay, the shortest of the three. To his credit, he addresses Scripture and scientific evidence more than anyone else in this book. The longest essay, and most compelling, is for theistic evolution (TE). This is the view that God expressed his creativeness providentially through the laws and properties of nature. The conclusions of mainstream science, including abiogenesis and large-scale biological evolution, are thus merely a recognition of how His providence worked. And, since mainstream science is clearly inconsistent with a plainly-literal reading of Genesis, some form of allegorical/mythological interpretation of Genesis is to be adopted. Howard Van Till presents this chapter powerfully and effectively in what struck me as an almost-airtight argument from a philosophical/theological standpoint. But again, specific scientific arguments for why the conclusions of mainstream science are so compelling, are absent. So too are specific hermeneutical arguments for why it is permissible to read Genesis in such a way. The responses to each essay, unfortunately, are less satisfying than the essays themselves. It would have been interesting had the authors been allowed to critique each others' views. But instead, four other scholars get that role, and it is clear that all of them essentially conform to the OEC view. This makes for a rather predictable series of responses to each essay - with Van Till getting the liveliest criticism as expected (OEC and YEC, after all, are both forms of creationism in that they say there is scientific evidence for God the Creator; while TE claims science is incapable of such, and thus remains scientifically indistinguishable from the dreaded atheistic evolution). The wrap-up essays are supposed to summarize the book, but in practice they also double as further presentations of TE (Richard Bube) and OEC (Phillip Johnson). Again, the closing essays are philosophical in nature, and while Bube's especially is tightly argued (if a bit redundant of Van Till's), the overall lack of Biblical exegesis and scientific presentation from this book is its greatest weakness. After all, most of Zondervan's audience is evangelical Christians who place a great premium on the Bible. Viewpoints on what Genesis is really saying are very important, if not most important, to these believers. At the same time, most evangelical Christians who have any interest at all in the creation/evolution debate do so because they have an interest in science. Scientific arguments hold weight with them, but such arguments aren't common in this book. This book takes on three views of what is impossible: finding scientific explanation in an ancient book of myths. The myths aren't even original, but "borrowed" from the Egyptians, Medes/Persians, Sumerians, Assyrians, Babylonians and Greeks. These "scientists" choose to bury their heads in the sands of self-deception in order to force science to conform to their twisted logic. Actually their logic is non-existant so I guess what does not exist cannot be twisted! Think! Use your brain! Use reason, logic! Don't let yourself get caught in the fallacy of creationism. It is senseless to willfully throw yourself into believing the myths of the ancients. They created the stories because they had no real way to evaluate the world around them except to claim that unseen deities "created the world" with their "powers". Every religion and every culture has a creation myth. Logic tells you that these are untrue, stories created to explain what ancient men were unable to understand. Now in the present there are pseudo-scientists insisting that one of these ancient myths contains actual, verifiable truth. They are either themselves decieved, or THEY ARE LYING. You have to decide for yourself. If you read this book, I am positive that you will see through the fallicious thinking and the extreme stretches of reality. The authors are attempting to lead their readers down a path of ignorance using a fairy tale as a textbook. Do not fall for their ploy...Use your mind! i've read in the field of creation-evolution for nearly 30 years now, from the _genesis flood_ to _darwin's dangerous idea_. that certainly doesn't make me an expert, only a concerned layman. this book is addressed by christian's to christian's, not that anyone outside of that community won't get a great deal out of the discussion only that the emotional desire/impetus to seek answers pushes christian's with a high view of scripture to try to reconcile the two biggies in their lives: science looking at general revelation and theology looking at scriptures. if you're not part of this community it is much easier just to ask "so what?" and not to understand why this is such a personal topic. this is a first book, that is suitable for educated people to delve into a topic where many of the other books in this field/topic presume a background in either science or theology, or where the books are so stridently biased as to be "preaching to the choir" and put off 'newbies' with their presentation. the issues are presented well enough that i think if someone finishes the book they will have a reasonable idea of what the problems are and where the different parts are most concerned in the discussion. it is not a scientific or theologically based book but rather philosophic. it presents concerns from each viewpoint, thus showing relative priorities in what each person discusses first and critisies as lacking emphasis in the other viewpoints. this is one value in a debate type of format, it can leave you with a prioritized idea of what people find important in the issues. one problem however with this debate framework is that each person reading the book who already have committments to issues or positions tend to cheer for their side and boo down the opposing sides. this is evident from the reviews posted here, the young earth creation team is not the big names in the field, so it looks like in suffers from lack of heroes. nay, the two philosophers defend the position well given the page constraints they faced. there is one issue running through the book i wished everyone had addressed in a more explicit matter, that is the difference in accepting the functional materialism of science versus the uncritical acceptance of a materialist world and life view of scientism. there is much confusion between the two, you can see it in much YEC criticism, in this book as well, of both progressive creationism and theistic evolution. naturalism is the idea that what we see is what we get, no god's behind the curtain, no skyhooks to come down and rescue us. there must be a distinction between how science uses this idea as a working hypothesis, as a functional means to an end, versus how a philosophy uses it as an axiom. of the 3 viewpoints, only vantil talks to the separation of the two. the YEC's fault the other two positions as if they accepted the materialism/naturalism as a deep committment in their systems. which as christian's is simply unacceptable from the beginning. i liked the book. i think if you need a place to start it supplies one. however if you are already committed to a position you would be better off served by jumping straight to one of the major works in each viewpoint. and interact with that author without the polemics that form the debate structure of the book. Much has been said in the reviews already posted, so I'll try to avoid too much repetition. Being very interested in the issue of creation and evolution, I was drawn to this book at first sight. Zondervan has published several books in this Counterpoints series that are very well balanced, so one would expect this book to also be a balanced treatment of this issue, right? Well, disappointingly, it is actually a very unbalanced treatment. First, while the selection of Robert C Newman (Old Earth Creation) and Howard J Van Till (Theistic Evolution) to present their respective views is not surprising, the selection of Paul Nelson and John Mark Reynolds to present the Young Earth Creation view is quite surprising, as they are not well known defenders of that position. To me, their chapter seemed to ramble too much about "philosophy of science," all but totally ignoring the Biblical and scientific issues at hand. Having read many resources on this issue, I must say that the Young Earth Creation chapter in this book is the weakest presentation of that viewpoint that I have ever read. As such, the cards are stacked against that perspective. Second, this book doesn't allow each perspective's proponents to respond to the others' chapters (as other Counterpoints books do), but rather opts to allow four others to respond to each perspective. In and of itself, that wouldn't necessarily be bad. However, each of the four individuals chosen holds to (or at least leans toward) the Old Earth Creation perspective, which is another instance of the cards being stacked against Young Earth Creation, as well as once against Theistic Evolution. Third, for the book's closing remarks, the Young Earth Creation view is not represented, which is yet another instance of the cards being stacked against that position. frequently is taken home and has to be tracked down when someone needs it! lively style that makes it easy to go from start to finish. equations for those who wish to avoid math. star publications looks not variable at all, but bright and steady. Thanks, Coel, this book has made my job of involving undergraduates in my research (on CVs, of course) much easier. It is suitable for amateurs, too, being self-contained with its chapter on CCD photometry. It's also nicely produced, and yet the price is quite reasonable...: I have no qualms with telling them to go out and buy their own copies, necessary since both my copies are already in the hands of students. There are many atlases showing features on the surface of the earth, but this book is the only one (in late 1998, at least) to cover the whole universe. 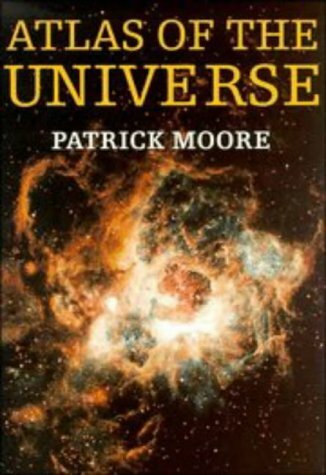 Patrick Moore, who has hosted BBC Radio's popular The Sky at Night program for more than 40 years, gives straightforward, though not simplistic, explanations of astronomical objects of every order of magnitude. He includes charts of every mapped body in the solar system (except Earth), as well as maps and guides to every constellation. 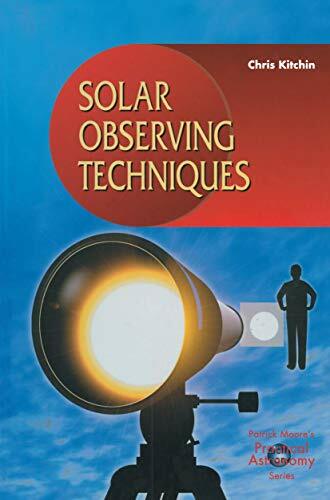 This is a great book for all amateur astonomers but variable star observers will be most pleased. 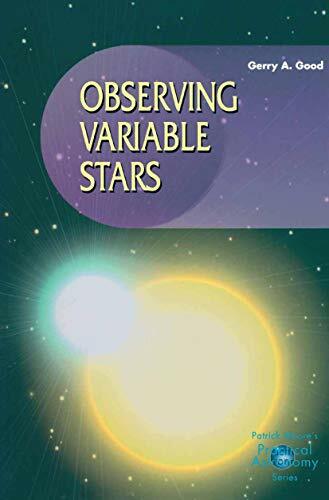 The book covers a great amount of information such as how to observe variable stars, record observational data and report observations regarding variable stars. 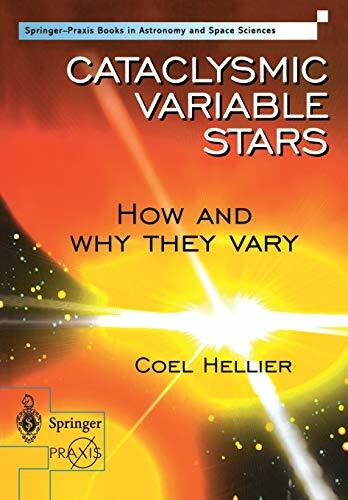 Also, there is a great amount of information regarding the many types of variable stars such as pulsating Mira type stars, cataclysmic variables, eclipsing binaries as well as many of the less known type variable stars such as SX Phe stars, BY Dra stars, Be stars and many, many more. The book does a very good job of covering so much information, much better than any other book available to the amateur at this time. "Casti is one of the great science writers of the 1990s. . . . If you'd like to have fun while giving your brain a first-class workout, then check this book out. "&mdash;Keay Davidson in the San Francisco Examiner. "Five Golden Rules is caviar for the inquiring reader. . . . There is joy here in watching the unfolding of these intricate and beautiful techniques. Casti's gift is to be able to let the nonmathematical reader share in his understanding of the beauty of a good theory." &mdash;Christian Science Monitor. "Merely knowing about the existence of some of these golden rules may spark new, interesting&mdash;maybe revolutionary&mdash;ideas in your mind." &mdash;Robert Matthews in New Scientist (United Kingdom). "With this groundbreaking work, John Casti shows himself to be a great mathematics writer. Five Golden Rules is a feast of rare new delights all made perfectly comprehensible." &mdash;Rudy Rucker, author of The Fourth Dimension. This is a good book for those that have a degree of mathematical curiousity. Not necessarily expertise, just a decent interest in it. The reading is easy. The presentation is great, as I have come to expect from the publisher (Wiley). The content is very good. Note that these are from applied mathematics rather than pure mathematics. The author also makes this clear in the preface. This is an approach that I (sometimes) prefer, but just be forewarned that it is not the best of both worlds. Each topic is well explained and has many modern-day examples (e.g., Cuban Missile Crisis) worked into the text, making it all the more interesting. Mathematics is a discipline that has an essential niche in modern society. From the early days of civilization where the plotting of fields for taxation required geometry to the modern international interconnection of computers, mathematics has been essential. People also constantly bet their lives on the accuracy of mathematical models. When we climb into an airplane, we are entrusting our lives to the accuracy of the mathematical models used to design that plane. And yet hardly a day goes by in the life of this reviewer without someone commenting in some way on the limited worth of mathematics. A combination of fear, insecurity and uncertainly lead to common misconceptions concerning the value of mathematics. All mathematicians have a professional duty to counter these problems any way they can. In doing this, we are not just engaging in activities to boost our job security, but in every real sense helping to insure the survival of civilization as we know it. 1. The Maximum Theorem of Game Theory. 2. The Brouwer Fixed-Point Theorem of Topology. 3. Morse's Theorem of Singularity Theory. 4. The Halting Problem of Computer Science. 5. The Simplex Method of Optimization Theory. Targeted at the general reader, formulas and theorems are kept to a minimum. Applications, some literally life and death, are used to emphasize the value of these concepts. As someone who experienced the apparent irrationality of the Cuban Missile Crisis of 1962, it is comforting to see it reduced to a simple "game" matrix. With this volume, Casti has done more than his share of the professional duty of mathematicians. It is one more brick to be used in the construction of a mathematics that is cherished by all people. My problem with this book lies not with the writing, but with the printing: missing fifty pages, the book repeats the first quarto. Happily, the publisher graciously sent me a new copy, but prospective readers should be forwarned. Casti writes about 20th Century mathematics for general audiences. As he states, he uses five mathematical theorems that were proven in the 20th Century and shows how they relate to general theory and application. He gives a reasonable set of criteria to show the reader how these five theorems emerge out of the millions of theorems that mathematicians have proven in the mathematical literature of the 20th Century. He also explains why all the theorems were developed in the first half of the century. Basically, it takes time for the impact and value of a theorem to take effect. 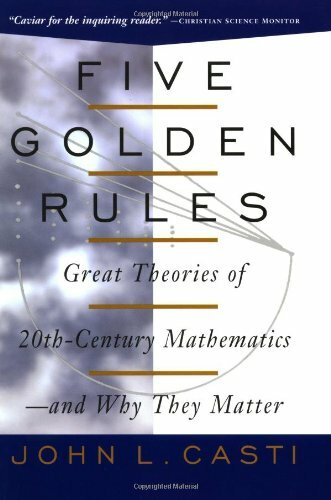 While there may be many theorems developed in the later half of the century that will eventually prove to be more valuable than some of the five golden rules, we may not know this clearly for some time. There seems to be a preference for theorems related to operations research. For example the Brouwer fixed point theorem from topology has applications to game theory. Von Neumann's minimax theorem was developed for game theory and its application to military strategy and economic problems. This one also falls into the realm of operations research. Finally Dantzig's simplex method provides an algorithm to solve linear programming problems and some extensions. This is also clearly in the realm of optimization problems in operations research. Turing's halting theorem is also presented. This deals with important questions about the limitation of computing machines as it relates to mimicking human intelligence. Many of the ideas are difficult to present in lay terms and there is a lot of development to try to make the theory understandable to the reader. But it is difficult to do these subjects justice. Casti's emphasis is clearly in applied mathematics and he excels at showing the impact of the results on our society. Casti's text focuses on five key mathematical theories from the 20th century; this is actually somewhat misleading, since 4 of them are actually proved theorems. It's an interesting survey of applied mathematics; a number of sub-disciplines are covered here. He does an excellent job of bringing the math down to a reasonable level without dumbing it down. Most of the book can be understood with simple logic and algebra; truly understanding a few of the theorems (not just appreciating them) does take a little calculus. Knowing some more advanced math (like topology) helps, but a reasonably mathematically-inclined person with less formal education will be able to follow it just fine. I'd like to see more popular math books at this level; this is somewhere between the level of Paulos' series of books ("Innumeracy" et al) and an undergrad maths textbook. Intelligent Design Creationism (IDC) is the latest manifestation of anti-evolutionism, a social movement which owes it's roots to pre-Darwinian opposition to the idea of transmutation of species. As with Victorian opposition to evolution, IDC is more concerned with the (putative) social implications of the acceptance of evolution than with the fact that the theory is both scientifically and philosophically sound. The acceptance of evolution is seen as a manifestation of the rampant materialism and naturalism of modern Western culture, and IDC advocates ask practising scientists to replace methodological naturalism (the idea that, while the supernatural may exist, one must exclude supernatural explanation within _scientific_ discourse) with a view that allows the Divine to be used as an explanation whenerver science cannot explain a phenomenon. Rob Pennock - a philosopher at Michigan State University - has followed his extremely useful "Tower of Babel" with this collection of IDC pieces and responses from more "mainstream" scientists, philosophers and theologians. Pennock is unbiased, allowing both sides to present their case, and the collection contains many articles that were previously only found in academic journals. As such, the volume will be highly useful to individuals on _both_ sides of this issue. As an educator, I have used Pennock's first book in class and both students and I have profited from his insights and clarity. I only regret that this volume was not in print when I ordered books for the coming semester. He, and MIT Press, are to be congratulated for making this resource available to educators and the general public. This collection of essays and commentary on Intelligent Design is a nice resource for those who are following the debate closely. In particular, you get a sense of how many of the people in the Academic world have chosen to respond to the concept of Intelligent Design. This is very insightful to those of us who have been following the debate from the sidelines. However, I have a few complaints. First of all, the material in this volume consists largely of re-used material that is available on the internet. This is especially the case regarding the material that Pennock chooses to use from ID Theorists. In addition, as one who follows the debate pretty closely, I can't help but feel that Pennock rigs the conversation a bit. Most apparent is the fact that most of the ID proponents are not given a chance to respond to their critics. In fact, the material that Pennock uses to present the ID position, in my humble opinion, does not fairly or fully represent the ID Theorists arguments. 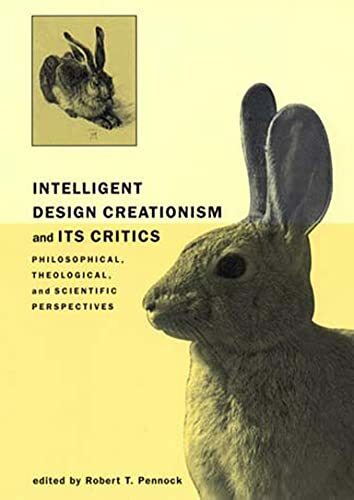 In closing, I recommend this book to those who want to get an insider's perspective of how the Academic world, has, in large part, decided to respond to the arguments put forth by the Intelligent Design community. However, if one is looking for a good general introduction to ID, or a fairer portrayal, I would wait for the upcoming volume being edited by Michael Ruse (a Darwinist) and William Dembski (an ID theorist). Intelligent Design Creationism Versus Darwinian Orthodoxy. This rather large book consists of a series of essays detailing the perspective of Intelligent Design Theory from the Christian point of view and a series of contrasting essays from Darwinian orthodoxy opposing this theory. One unfortunate aspect of this book, which consists otherwise of some rather interesting essays, is that the essays are selected in such a manner so as to make the ID perspective look ridiculous at every point. Thus, after every issue is dealt with from the perspective of ID two subsequent essays appear which are supposed to refute the ID perspective from the Darwinian. In practice, this amounts to little more than overkill which makes one wonder, what is the point of having a debate if you are going to stack the cards beforehand. Also, many of these so- called "objective" scientists and philosophers seem to be engaging in little more than name calling and credential comparing. One example of this is the essay of the popularizer Richard Dawkins who appears to be interested very little in the actual content of an essay by Philip Johnson and more interested in the fact that this individual happens to be a lawyer, cashing in on the near universal animosity felt towards lawyers among the populist masses. This isn't to say that Johnson's essay is particularly good or rings true, but the fact that Dawkins cannot control his juvenile tendencies here is really a good indication of the knee jerk reactionism of the Darwinian Left. Of course, the issue of Intelligent Design is a complicated one, one that is not fully worked out here. In addition, the compiler Pennock seems to be under the impression that "creationism" is strictly a Protestant phenomenon. This may be the case for "liberal Catholicism" however many traditionalists within the Catholic church have offered an alternative interpretation of Creation. In fact, the writings of Jesuit priest and evolutionist Teilhard de Chardin were placed on the Index and can hardly be taken to constitute orthodoxy within the church. Also the "process theologies" proposed by certain clergymen within this volume can hardly be taken for Christian orthodoxy either. The issues involving Darwinism include a conspicuous absence of intermediate evolutionary forms within the fossil record, a problem concerning the probabilities involved (being miniscule, making it difficult to reconcile Darwinism with reality, at least in one interpretation), and other issues dealing with absent data regarding (supposed) speciation. Intelligent Design Theory differs from classical Creationism in that it is not "young Earth" and that it does not take the actual Genesis account overliterally, merely arguing for an intelligent designer. Also, it should be noted that Creationism proper need not be solely Christian; for example, there exist Islamic, Hindu, and Buddhist "creationists" who challenge the Darwinist hegemony. Thus, the issues involved are rather complex and really it requires a careful reading to fully understand. Certainly they cannot be passed over in the manner they are in the naïve Darwinism taught for example in public schools. Even within the scientific community of evolutionary biologists different evolutionary theories exist - contrast the (standard) Darwinist theory of Mayr with the punctuated equilibrium proposal of Gould. These issues in fact may touch on the very nature of the scientific endeavor, and the contrast that exists between materialism (today called "physicalism", given the interchangeability of matter-energy) and theistic realism. This book is decent in that it presents many essays from a wide variety of points of view even though one must sort through the compiler's own bias in his presentation of them. It is to be recommended to both the scientist and philosopher as well as the theologian and layman. Rob Pennock has done a great job with this book. Apart from presenting his own philosophical arguments he has brought many scientists into the debate over evolution. Actually the term debate is inaccurate. This is not a squaring off of two schools of thought or opinion; both of whom have done a comparable amount of work on the topic. On the one hand you have the entire corpus of scientific endeavour of most of humankind's recorded history. On the other you have a bunch of naysayers who too lazy to investigate their own claims have taken to brandishing their academis qualifications and belive that that alone is sufficient to establish their flimsy arguments. It is more a case of mudslingers trying to besmirch the moon. The target is too far away; massive (though apparently small); and will result only in their getting besmirched! The pompous Dembski complains that his work has not been given prominence. Unfortunately Dembski has little to say as Ken Miller conclusively demonstrated at the AMNH last year; when Miller left Dembski speechless with his arguments and questions. Plantinga is a big disappointment. I have heard much about this philosopher and was disappointed to see that the best he has to offer is a stubborn "it is wrongheaded theory" etc. The ID Creationists' movement looks like it is ready to draft anyone even one who is utterly incapable of understanding even the basics of biology. Plantinga should return to religious philosophy and arcane debates about how many angels can dance on a pinhead!! 2) it ignores the fact that the intelligent design movement is very different from biblical creationism, since it doesn't start from the biblical model of creation / fall / curse / flood / Babel / etc., but merely attempts to detect design when it sees irreducible complexity or complex specified information, by means of generally accepted ways (v.g explanatory filters) of detecting and measuring design in multiple fields of life. If matter shows indeed signs of design, it is unscientific not to account for those signs. There is no truly scientific a priori requirement to keep turning our heads pretending we just don't see design in nature. 3) it assumes that biblical creationism is all about religion and not about science. One has only to read Gish, Morris, Humpreys, Ham, Safarti, among many others, to realize that this assumption is false. The biblical model starts with clear religious assumptions, states them openly (many evolutionists have for decades tried to hide their anti-religious naturalistic agenda, without success, builds a model that interpretes the facts consistently, makes predictions and draws on the various internal contradictions of evolutionary theory (v.g. molecules v. fossils; arboreal v. cursorial; regional v. out of Africa). In fact, it must be said that after books from non creationist authors such as Werner Gitt, William Dembski, Michael Denton, Michael Behe and Lee Spetner, just to quote a few, biblical creationism has been much reinforced. Pennocks' book shows articles by authors such as Philip Johnson, Michael Behe and William Dembski. Richard Dawkins insists on his bluff of an "intelectually fulfilling atheism" (autism? ), without resolving his dead end debate with Steven Jay Gould. At the same time, some articles discuss the alleged shortcommings of biblical creationism, by focusing on the "manipulative" debating technics of Duane Gish and the ICR, a convenient charge when one is not able to respond to Gish. To the authors of this criticism I just say: please just try to answer convincingly the various creationists' true arguments, and not some "straw man" versions of them. Scientific debate would much benefit from that attempt. In the late 1950s and the early 1960s, the Soviet Union had a series of spectacular achievements in its space program. These included the first satellite in orbit, first animal (a dog) in orbit, first man in orbit, first cosmonaut to spend a day in space, first woman in orbit, first multiperson space flight, and first space walk. Hall and Shayler, in their well-written book, provide an interesting account of the glory days of the Soviet space program, which at the time was shrouded in great secrecy. Despite limited resources relative to the US and conflicts within the space hierarchy, the Russians set new records and developed a serious presence in space. The book includes many tables, diagrams, and photographs, some of which appear to have been provided by families of the cosmonauts. The authors stress the key role of chief designer Sergei Korolyov in the success of these space efforts. The political leadership used the space program for propaganda purposes and forced the program to take on some great risks. Nevertheless, the successes were stunning and a few space flight records remain from that era. General readers; undergraduates. Over the past few years Spring-Praxis has begun publishing high quality books about various aspects of space exploration, ranging from robotic missions to human exploration. This book is latest entry in series and continues the tradition of providing high caliber books. This time, the book focuses on the development of the Russian space program and the early flights (both men and women). 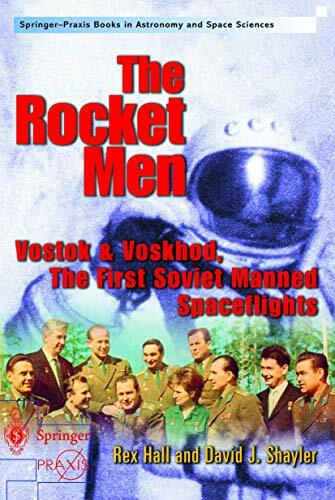 While the book covers all the usual Russian firsts, like the first man and women crew into space and the first EVA, there are also a lot of other firsts, like the first civilians into space, which are covered as well. This truly an excellent book and presents a lot new information in a relatively non-technical way. The book is divided into four main sections. The first section deals with the early Russian space pioneers, like Tsiolkovsky, and the development of the ballooning programs. The next section, which is the largest section, focuses on the Korolyov (The Chief Designer) and the development of the early Russian space program. The third section covers the early human space flight missions and the final section examines the unmanned vehicles that followed. Occasionally a few paragraphs about the US program are presented, to allow the reader to better gauge the Russian progress. The first section of the book examines the early space flight theories of Tsiolkovsky and the early Russian pioneering efforts in stratospheric ballooning with the goal of trying to set a new manned altitude record. Two important benefits that came about due to these efforts were the development of pressurized suits for low altitudes and the understanding of parachuting fundamentals and parachutes clubs, which were ultimately applied, to the Russian space program. The next section covers the Russian space program after World War II and the use captured German hardware to begin a space program. From these initial test flights, the Russian were able to begin development their ballistic missiles. The books presents the progression of the Russian missile program from the German V-2 through the Russian R-7, and it is easy to see that the Russian launch vehicles are direct descendants of the German launch vehicles. The main section of the book focuses on the development of the early Russian space program, both manned and unmanned and contains a lot of information about the chief designer, Sergie Korolyov. The section of the books cover the construction of the Baikonur launch facility, the artificial satellite program, the development of the Vostok capsule, crew training, crew selection and loads of other stuff. I found the parts about the selection and construction of the Baikonur launch facility extremely fascinating. While it was in part chosen for its remoteness, it was also chosen that in the event of an abort, the launch vehicle could come down Russia and in relatively unpopulated areas of Russia. The construction crews faced a lot of hardships and death, but eventually after several years of hardships, the facility was completed. Also included in this section are detailed descriptions of the crew selection and training and ultimately their flights into Earth orbit. It is impressive to see than the Russian cosmonaut program paralleled the US effort and in many cases surpassed NASA. Specifically, the choice of women and civilians for spaceflight happened years before NASA even considered doing so. While some of the motivation behind these efforts may have political, these efforts were nevertheless carried on with success. The final section of the book covers the unmanned flight since the Vostok and Voskhod missions. It was extremely interesting to note that many of the unmanned Earth orbiting Russian satellites even up to the most recent launches are based significantly on these early designs. Get the bias out of your math! I can be brief. It is astonishing how even brilliant minds, like Professor Penrose can go astray. There was this housewife from Pennsylvania who within weeks hit the jackpot twice on the same ticket. The papers were quick to report that this was a one to 17 billion long shot. Not true! Or only true if no one else but Ms Johnes is supposed to be the winner. But if just SOMEBODY is supposed to win, then, given the number of participants, the odds are something in the order of 1:30. Neither evolution nor the universe are partial about us, only WE have this bias. But given size and duration of available worlds, SOMETHING is bound to happen, if not here than somewhere else, if not life then some other oddity. As it happened it was life and it was us. Personally I don't believe in Big Bang and all this nonsense, so there is plenty of time for something to happen anyway, but this is not my point: even given the limitations and strictures most seem to believe can be observed out there, the one universe there is, is still big enough for something to occur. Besides evolution is the mechanism gradually to improve the odds. Again: evolution has no intentions to end up with weird critters like us. But it proceeds in a way that makes us possible: not necessary, but possible. The whole 'anthropic principle,' is just an other exercise in human vanity. If we can't be the necessary fruit of events, we want at least to be an impossibly rare specimen. We are neither folks, and that is all there is to it. This book is truly wonderful. Not only that, it is perhaps the only book that I know of that is endorsed by BOTH atheists and theists alike. Yep, that's right boys and girls. Quentin Smith is one of the most die hard atheists on the planet and Peter Van Inwagen of the university of Nortre Dame is one of the biggest defenders of theism. Both rave about this book and their comments can be read on the back cover. So, what is this book all about, you ask? Well, it's something known as the Anthropic Principle. It was first introduced in the early 1970s by a physicist by the name of Brandon Carter. It basically states that we are not just lucky to be here, but rather we are REALLY REALLY REALLY REALLY lucky to be here. Why? Because from the first instant of the big bang onward, an incredible and highly improbable slew of things HAD to go right in order for the possibility for life to exist anywhere in the universe. So much so that it seems that the universe was "fine tuned" just for life. Sir Fred Hoyle (an atheist) was led to comment that the universe looks like a "put up job." Now, this set of circumstances led to a ressurection of the Argument from Design by the theists with renewed vehemence. Meanwhile, the atheists have their own responses, which basically take up two camps. First Response (also known as the Weak Anthropic Principle or WAP): "Of course the universe has laws which allow life to exist. If they didn't we would not be here. Therefore, the odds are irrelevant except perhaps for some latenight philosophic mental gymnastics." Now, there is a problem with this response in that it is nothing more than a tautology. That is to say, it does not EXPLAIN why the universe supports life despite so many constricted laws of physics and chemistry. It is like someone asking why the Dallas Cowboys won the superbowl and having a person respond "because they scored more points than the other team." That answers nothing. The question is: WHY did they win? Were they better than the other team? Did they get lucky? Did they have a better coach? Did the other team have injuries? Were turnovers a factor? etc. etc. Saying that "they scored more points" only states the obvious: "of course they scored more points, or else they would not have won the game..." Now, the second camp is known as the Strong Anthropic Principle (SAP) and it goes something like this: "Since the odds of our existing in a universe with the PRECISE physical laws necessary for us to do so are so slim as to be intellectually unacceptable (in the order of 10^10^123 according to Roger Penrose) there must then be a whole slew of other universes (perhaps an infinite number) to JUSTIFY this one. That is to say, in an infinite number of universes, virtually anything can happen. The majority of them would have random, weird laws of physics and be lifeless but EVERY SO OFTEN you would get one which could support life (in some form or another)." Now, this is an interesting argument, but it has a fatal flaw. There is not a SHRED of evidence that even one other universe exists besides our (much less an infinte number of them). Yet they seem to HAVE to exist in order for the numbers to come out right. Hence, if one chooses to believe in these alternate universes (no matter what his scientific credentials) he MUST do so on faith alone. Obviously, most atheists are not comfortable with this conclusion, but that is the way it goes. 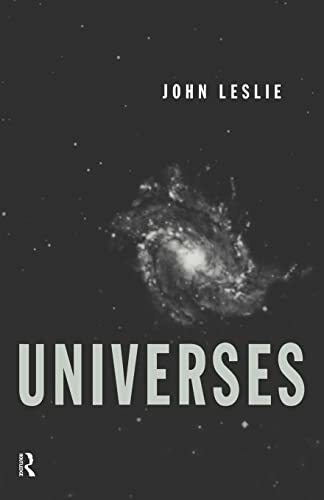 Leslie's book engages the subject objectively and he tells wonderful, fun stories that offer both the atheist (multiple universe) and theistic (one universe with a designer) perceptions of the debate. A remarkable book. I think that Mr. Pierson missed the point when he read it as it is not about Darwinian evolution at all (nor does Leslie ever say it is). It is well worth reading the whole thing, too. What Mr. Pierson said about atheists being willing to believe in multiple universes but are not willing to believe in God is precisely one of Leslie's points. However, I also would endorse the other books that Mr. Pierson recommended as I have read them too. Also, I would suggest for those who like this book Atheism, Theism and Big Bang Cosmology by Quentin Smith and William Craig Lane. Not believing in Darwinian evolution, I find the Anthropic Principle (the core concept of the book) compelling - it does seem to me that the Universe has been fine-tuned for life. And some of the examples were quite pertinent. However, I quit reading about 1/3 of the way through the book for three reasons. 1) I found that the same facts and arguments seemed to be repeated over and over. 2) I found the book to be a "hard read" - the logic did not seem easy to follow (this may be because I have a "scientific" mind rather than a "philosophic" mind and most of the arguments are presented from a philosophical reference). 3) Multiple universes with different laws of nature, which the author believes to exist, are needed to explain the fine-tuning of our Universe only because scientists refuse to accept an "intelligent desinger" because "He" can not be seen, felt, heard, touched, or measured, and is not constrained by the laws of nature as we know them. Yet, these same scientists have no problem believing in other universes that can not be seen, felt, heard, touched, or measured , and which do not follow the laws of nature as we know them. For those who are looking for scientific arguments against Darwinian evolution, I suggest these recent works by two Ph.D.'s: DARWIN'S BLACK BOX;THE BIOCHEMICAL CHALLENGE TO EVOLUTION and THE SCIENCE OF GOD:THE CONVERGENCE OF SCIENTIFIC AND BIBLICAL WISDOM. I really wish science authors would stick to science topics and stop bashing religion at every turn of the page. Okay, Gary, we get the message! You find religious doctrine repulsive. That's fine! 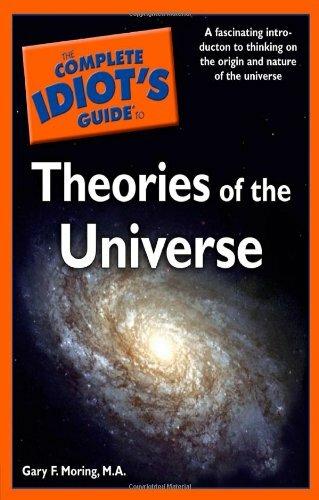 But when I purchase a book entitled "Theories of the Universe," I expect to read about theories of the universe and not be insulted for my personal religious beliefs. Gary Moring seems to get "hung up" on Biblical concepts (and fails to inform the reader that some sacred religious writings knew certain "scientific facts" about the earth and the heavens before the advent of serious scientific invesigations). His presentations of the theories of the universe are very good, and I thoroughly enjoyed the way he presented the material. I gave the book only three stars out of five, however, precisely because of his religion bashing. It's okay to give a historical perspective on sixteenth and seventeeth century scientists, and to espouse how their religious views influenced their science; but, to belittle them and make light of their beliefs only demonstrates the author's intolerance of religion. I wonder what views Gary Moring would have espoused had he been born in the sixteenth century? I might remind the author that a not small number of scientists (some of the biggest names in science) who contributed the most toward scientific discoveries over the past three hundred years were very religious people. I truly tire of picking up a science book only to find more "religion" buried within its pages. And Gary Moring doesn't end his religious assaults with the first few chapters... it continues 'til the end of the book. In my opinion, the only thing it succeeds in accomplishing is turning off the reader to the author. If I can't trust the author to write about the topic emblazoned on the cover of the book, then I'm not going to spend my dollars on other books written by the same author. Case in point: I just discovered a title that caught my attention as a science reader. "The Complete Idiot's Guide to Understanding Einstein." Another book by Gary Moring. I am reluctant to purchase it because I now know of the author's penchant for attacking religion. I've TRIED reading all of these books by Steven Hawking and such, AND GOTTEN VERY VERY CONFUSED. This book totally brought me out of my confusion.... it's got such great explanations of everything! It may not be very detailed compared to "A Brief History of Time" but atleast I can actually understand it. Besides the string theory etc. stuff, I found the philosophy and theology very enlightening. This book brings everything together. Gary Moring has done it again! Following the success of his "Guide to Understanding Einstein", Gary Moring has demystified the myriad of universal constructs for us laypeople. He has a unique way of explaining and expanding all those concepts in physics that made your brain hurt the first time. His wit and wisdom is refreshing in tomes of this sort! A must read for all who seek to understand cosmology - and enjoy it in the process! A great overview of Cosmology!! 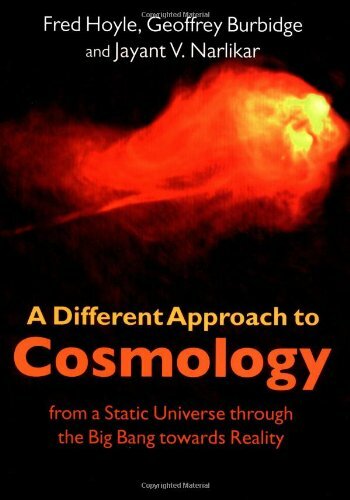 The study of cosmology often falls only into the realm of science, but in this refreshing approach to the topic, the author provides the reader with an incredible array of different points of view. You not only get quantum mechanics and string theory, but also religious, philosophical and historical prespectives too. How it all started, where it's going and how it may all end are looked at from several avenues, giving the reader an insight into the broad area of topics that are all a part of cosmology. From ancient Mesopotamia to hidden dimensions and from alchemy to particle accelerators, this insightful book on cosmology introduced me to whole new level of thinking about my place in the universe. I highly recommend this fascinating look into the cosmos. 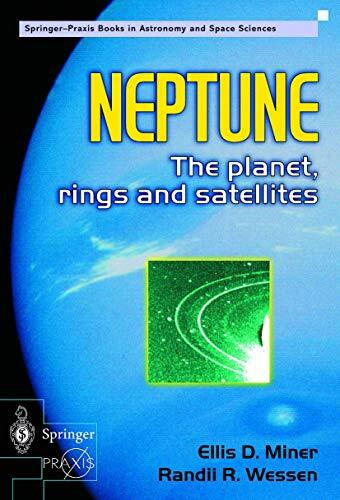 This is the only book on Neptune written by individuals directly involved with the Voyager Mission and its scientific findings. Written by JPL employees with ready access to the pictures and other data returned by the Voyager Mission, this book will disperse some of the myths created by the popular press and non-Voyager authors. This book recreates some of the excitement and wonder felt by those on the science and engineering teams as they witnessed the spectacular data being returned by Voyager. Neptune is the eighth planet in the solar system, the last gas giant and the last planet of any real size. Due to its great distance from the sun, everything that we knew about this planet, until Voyager 2 visited it in 1989, was determined by telescopic observation. 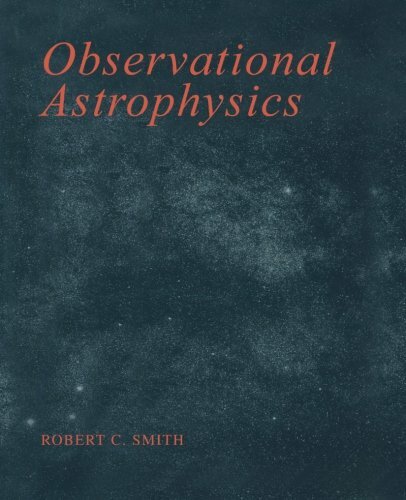 In this book, the authors, who both worked on the Voyager science team at the Jet Propulsion Laboratory, summarize the discoveries made by the spacecraft, the spacecraft's design and the discoveries made by telescopic observations. 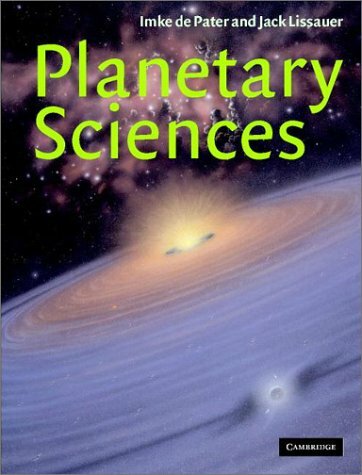 As with all the books published in the Springer-Praxis, Astronomy and Space Sciences series, there are numerous high quality photographs, line drawings and graphs in this book. Other than a few children's books, I believe that this is the only text, which covers Neptune in any detail. The first quarter of the books examines the pre-Voyager findings from Galileo's possible sighting, to its modern discovery that was determined by mathematical methods and its possible origins. The next portion of the book, which is also approximately one quarter of the book, covers the development of the Voyager probes and their subsequent discoveries at Jupiter, Saturn and Uranus (Voyager 2 only). The remainder of the book focuses on the Voyager 2 encounter with Neptune in 1989 from the long-range pre-encounter observations to the post encounters studies. In this large section of the book there are discussions on everything from, rings and satellite discoveries, radio science, the moons, the moon Triton and its atmosphere, cloud structure and much more.